Liner Legal is comprised of experienced attorneys and staff built specifically around the idea that a successful outcome begins and ends with the competency of the professionals working up the case. Michael Liner founded Liner Legal in 2013. He is committed to helping clients in need because he understands the challenges they face—Michael himself lives with neurological impairments. 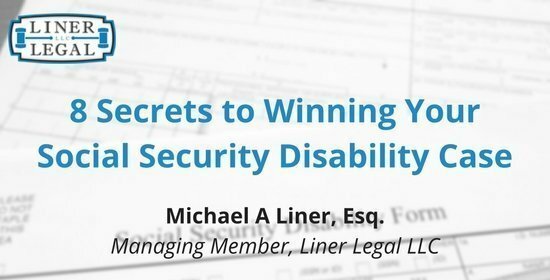 Michael and Attorney Andrew November at Liner Legal have handled thousands of disability cases throughout their careers. These include social security disability, deaf discrimination, long-term disability cases. and Beyond just being students of the law, the attorneys at Liner Legal are teachers as well. 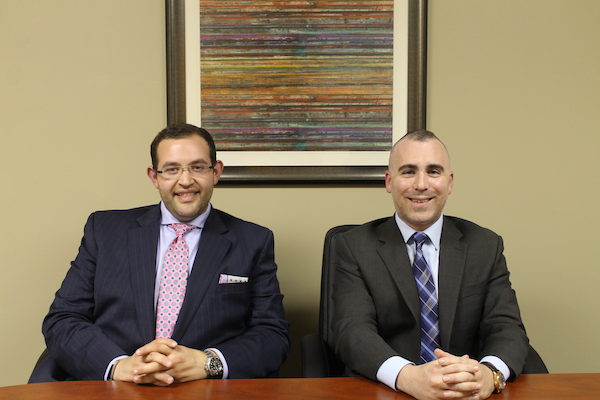 Michael and Andrew regularly speak at local and national conferences about how to successfully handle a disability case. Click here for a special post by our founder, Michael Liner. The Liner Legal office is located in the Old Brooklyn neighborhood of Cleveland in the Recovery Resources building, conveniently next to the MetroHealth Rehabilitation facility. Many of our clients live in the Cleveland area, but we also serve the communities of Akron, Canton, Sandusky, Warren, and Youngstown through satellite offices in those communities. If you or a loved one has a disability that prevents them from working contact us today! Our Social Security lawyers in Cleveland, OH are ready to assist you with your claim. We offer free case evaluations, and our office is open Monday through Friday from 8:30 am to 5:00 pm. If you contact our office at a time outside of our regular business hours, we will return your message within one business day. In addition, if you cannot make it to our office for a meeting, we are happy to meet at a location that is more convenient to you. The staff at Liner Legal understands how confusing and frustrating a disability case can be, and we are ready to help you with every step of the process. Let us make this challenging time in your life easier by choosing to speak to us on this matter. If we take on your case and you become a client, we will fight hard for you to receive the justice and benefits you deserve. Call us or fill out an online contact form for a free consultation of your case. In addition, as a client you don’t have to pay us unless you are paid from a positive outcome of your claim. Contact us at 216-282-1773 or mliner@linerlegal.com and put our promise of excellence and persistence to the test. We are disability warriors who will fight for you!